As for the second part of the double blind spot, STS has been strongly influenced by postcolonial works, many of which have aimed at decentring or provincialising Europe and North America. As Katherine Verdery (2002: 20) argues, however, it makes little sense to address the relationship of the former ‘First World’ and the former ‘Third World’ without also talking about the former ‘Second World’, since many if not most anti-colonial struggles were also significant episodes of the Cold War, the traces of which are still very much visible today. If this is right, then postsocialist studies has a lot to offer for STS, and vice-versa. The subplenary in Toruń was our initial attempt to articulate what such offers might entail and come up with a (necessarily incomplete) inventory of possible topics and themes for future events and research projects. The subplenary was divided into two parts. In the first part, Ivan Tchalakov, Marija Brajdic Vukovic, and Susanne Bauer made a series of interrelated observations about postsocialism and STS. Drawing on his own experience in Bulgarian and Russian academic institutions, Ivan started the subplenary by situating STS in Eastern Europe before and after the collapse of state socialism (see also Mitev and Tchalakov 2007). He argued it has been difficult for STS to be established in the former eastern bloc because it repeatedly drew attention to the ‘taboos’ of science – a move that was appreciated neither in the scientific socialist context of the 1970s and 1980s nor in the neoliberal climate of the 1990s and early 2000s. As far as the latter is concerned, Ivan mentioned two important difficulties for STS scholars in Eastern Europe. The first is concerned with the agenda of STS: while conducting ethnographic research in laboratories and other scientific settings has been one of the strengths of science studies, what mattered most for scientists in the former east in the 1990s was mostly de-industrialisation, the growing importance of entrepreneurship, the impact of increasing direct foreign investments, and the short- and long-term implications of brain drain. The second difficulty had more to do with the methods of STS: to carry out STS-inspired research in Eastern Europe required – and requires still – historical research, which (despite some important exceptions like Bruno Latour’s study on Louis Pasteur or John Law’s research on Portuguese colonialism) did not quite fit with most STS scholars’ presentist approach towards scientific practices and processes. In a way, Marija’s and Susanne’s contributions to the subplenary could be seen as elaborations on Ivan’s two points about the agenda and the methods of STS. In her talk, Marija concentrated on her experience in the Croatian academic system in order to point out to some of the difficulties that former socialist academic systems face during their transformation into ‘competitive’ entities. According to the most common indicators, for instance, the Croatian academic system appears to be a ‘poor performer’ in terms of scientific productivity and impact of scientific research. Some factors contributing to its poor performance are associated with the constant decrease in R&D investment, the devastation of different parts of the academic system during the social and economic transition, along with a constant reduction of research personnel and a lack of well thought-through reforms. Marija argued that one of the major obstacles of the initiation and implementation of reforms has been a lack of consensus regarding the direction, depth and wideness of those reforms due to disciplinary differences, normative differences related to the acceptance of norms of neoliberal capitalism, and norms and habits connected to the ways of ‘doing science’ stemming from the socialist past. As Marija pointed out, while following the transitology literature it is tempting to conceptualise post-socialist transition as a linear process, in practice, this transition has been negotiated and contested on a day-to-day basis in different settings, in different ways. The problem of temporality also played central role in Susanne’s presentation. As she emphasised, postsocialist STS and the history of technoscience in the former eastern bloc have the potential to complicate linear accounts of the transition from state to market economy. Rather than telling a story of progress, they may open up the possibility to study post-socialist neoliberal assemblages (Collier 2011). This can sensitise STS for heterogeneous temporalities and entanglements of various pasts in the here-and-now. Post-Cold War Kazakhstan, for instance, while new oil economies take over, deals with the legacies and impact of socialist modernity, such as large-scale irrigation projects, nuclear testing and the space program. Beyond the parallel history of Cold War science and technology, the postsocialist case shows how there are more than one versions of modernity, technoscientific utopia and disenchantment. Moreover, to post-Soviet countries in Central Asia, this includes both postsocialist and postcolonial concerns, given the much longer history of Russian colonialism, early Soviet anti-colonialist visions and policies as well as colonial continuity and a recent uptake of pan-Eurasianism in post-Soviet nation building. In light of this, Susanne suggested that STS scholars also ask the question that has already been raised in literary studies: is the ‘post’ in postcolonial the same as the ‘post’ in postsocialist? (Moore 2001) She then argued that case studies from STS might explore how such entanglements and temporalities look like and work, and sensitise us to the half-presences of various colonial and state-socialist pasts in post-Soviet economies. This way, along with the postcolonial challenges, STS-inspired studies of postsocialism might help further provincialise dominant western epistemologies and trouble the analytical categories in the study of technological modernity. In the discussion that followed Ivan’s, Marija’s and Susanne’s presentations (and the conversations that preceded it) a number of fascinating topics and themes came up, the elaboration of which is beyond the scope of this short report. At the same time, however, we find it important to at least list them here, hoping that some of them will be taken up in prospective STS meetings, within EASST and beyond. Lack of trust: a persistent lack of trust within and among scientific communities in Eastern Europe has made STS-inspired ethnographic research on scientific practices more difficult. What role does trust play in various scientific settings, and how does it change due to increased competition, standardisation, institutionalisation, etc.? 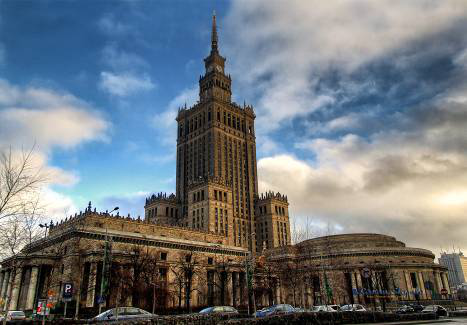 Naukovendenie: What is the relation of STS to its Soviet counterpart ‘naukovendenie’ (science studies), an important (mostly philosophical) project at the intersection of science and politics/state planning? The project of naukovedenie originated in the 1920s as part of scientific socialism and resurfaced in the Cold War context (Aronova 2011). According to Aronova (2011: 185), the ‘cold war was, among many things, about different visions of how to organize science’. If both movements, science studies in the west and ‘naukovedenie’ in the east, somehow responded to similar concerns related to the Cold War, how do these differences play out in the post-Cold War era? What are the peculiar fusions and politics of late socialist and postsocialist science, technologies and economies in different countries? Here STS can provide more complex empirical stories about these postsocialist assemblages and help overcome simple analytical binaries themselves to be located within the Cold War condition. Utopias after the Cold War: does the collapse of state socialism also indicate the end of utopias? Or did utopias merely change their form and content? What does the (post-)socialist experience tell us about our belief in accounting practices and technological fixes in relation to climate change, the financial crisis, or other matters of concern? Failure: the collapse of state socialism has mostly been framed in terms of failure, that is, the failure of socialist economies to remain sustainable vis-à-vis capitalist economies. Nowadays, many Eastern European countries are accused of failing to live up to certain economic and political expectations (often within an EU context). What can STS say about the technologies of expectations? How does failure figure in / is figured by such technologies? What’s the post in post-socialism? In asking this question we would like to bring to the fore the specific temporalities at work in the postsocialist condition and invite empirical case studies on these heterogeneous relations. Close empirical studies are important to map out the dis/continuities and half-presences in specific technoscientific assemblages that we encounter as postsocialist present. The continued importance of stateness. Attempts to overcome the socialist state seem to go together with the persistence of socialist elites and the emergence of refashioned authoritarian states. How do developments in neoliberal economies co-shape regimes of accounting and governance in social justice, welfare policies elsewhere? Aronova, Elena (2011) The Politics and Contexts of Soviet Science Studies (Naukovedenie): Soviet Philosophy of Science at the Crossroads. Studies of Eastern European Thought 63, pp.175-202. Collier, Stephen (2011) Post-Soviet Social: Neoliberalism, Social Modernity, Biopolitics, Princeton University Press, Princeton, NJ. Moore, David Chioni (2001) ‘Is the Post- in Postcolonial the Post- in Post-Soviet? Toward a Global Postcolonial Critique.’ PMLA 116(1), pp. 111-128. Verdery, Katherine (2002) ‘Whither postsocialism?’ in Chris Hann (ed.) Postsocialism: ideals, ideologies and practices in Eurasia, Routledge, London & New York, pp. 15-28. Susanne Bauer is associate professor in sociology of science at Goethe University Frankfurt. 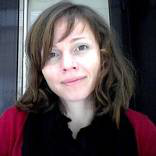 Her research interests include the sociology of infrastructure, databases and biobanks in biomedicine and environmental health, hybrid ecologies, and the Cold War history of risk assessment. Marija Brajdić Vuković is assistant professor of sociology the the University of Zagreb. Her current research focuses on local practices of knowledge production in the context of science and technology policies and evaluation practices. Marija is chair of the Section for Science and Technology Research of the Croatian Sociological Association. Endre Dányi is postdoctoral research fellow in sociology at the Goethe University Frankfurt. His PhD at Lancaster was a material-semiotic analysis of liberal democracy in Hungary, using the Hungarian parliament building as a methodological device. Endre is also one of the founder-editors of Mattering Press. Marton Fabok is a PhD Student in Geography and Planning, University of Liverpool. He is EASST Student Representative. Ivan Tchalakov is head of the Department of Institutional and Applied Sociology and of the Technology Transfer Office, both at the University of Plodvdiv. Hs latest book is titled Innovations and Entrepreneurs in Socialist and Post-Socialist Societies (co-authored by Jouko Nikula).